Providing you the best range of 900 spray, chain lubricants, dry ptfe lubricant spray, graphite spray, mould release spray and penetrating oil spray with effective & timely delivery. 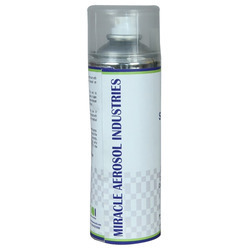 We are engaged in offering a comprehensive range of 900 Spray that is used to lubricate moving parts. The offered spray is processed by using the best quality chemical compounds and modern technology in line with industry norms. Our provided spray is tested by our quality examiners on varied parameters so as to ensure its quality. 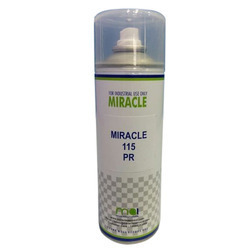 Moreover, this spray is widely known for its high level of purity in the market. Operational at sub-zero temp. Safe for paints, rubber, and plastics. Displace moisture and prevent from rusting. We provide Chain Lubricants of best quality to our clients. Our valuable clients can avail from us premium quality of Dry PTFE Lubricant Spray that is used for food and pharma industry. The offered lubricant spray is formulated using the finest quality chemical compounds and innovative technology by adroit professionals. 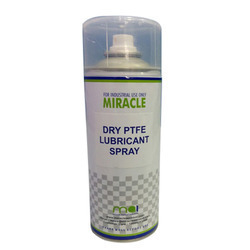 Moreover, this lubricant spray is tested by quality examiners on various parameters in order to ensure its quality. 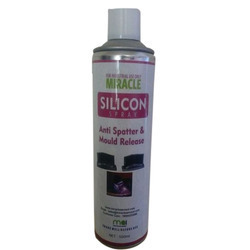 Clients can avail this lubricant spray from us at nominal prices. Dry film is to resistant to water. Oils, solvents. Very suitable where a wet lubricant is undesirable. Suitable in low load, low speed application. Does not Attract or hold dust & dirt. Used in food and pharma industry. We are extremely engaged in offering a comprehensive assortment of Graphite Spray that is used for lubrication in power generation units. Our offered spray is formulated by using premium quality chemical compounds and progressive technology in adherence with industry standards. Due to its varied features like temperature resistance and accurate chemical composition, this spray is highly praised by our clients. High temp and pressure resistant. For metal to metal lubrication to prevent seizing, fretting, scuffing and reduces friction. Tough and long lasting. For the lubrication in press shop, power generation units. Used as anti-stick agent during process of all type plastic moulding process. We offer a distinguished collection of Penetrating Oil Spray that is used for seized nut bolts. 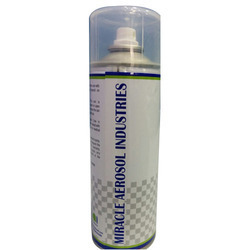 Our valuable clients appreciate this oil spray for having features like purity and accurate composition. The offered oil spray is formulated by using quality tested chemical compounds and advanced technology in sync with industry norms. At every stage of processing, our quality examiners test this oil spray against different parameters. Extreme low surface tension lubricant which penetrates deeply & quickly to aid the swift removal of seized & rusted components. Used for seized nut bolts, to lubricate fine & closed tolerance threads. 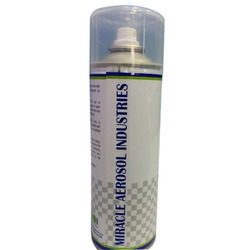 Odorless, tasteless, colorless and chemically inert lubricant spray ideal where high STD of purity is essential. prevent line jam, inhibits adhesive. non toxic and safe. high temperature resistant. Used as anti-stick agent for conveyors, auto windows or any moving part. Used as mould release agent & anti spatter spray. 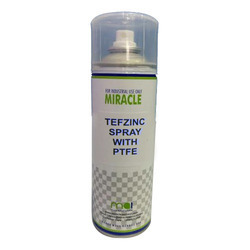 We Deals in Tefzinc Spray PTFE of best quality.